For its inaugural participation in Art Dubai Modern, Green Art Gallery presents a solo booth for the late Syrian modernist Mahmoud Hammad (1923-1988). Born in Damascus and educated at the Accademia di Belle Arti in Rome, the artist developed a practice that spans multiple mediums, including painting, printmaking, medal engraving and sculpture. As one of the founders of the Damascus Group of abstract artists and in his role as the Dean of the Faculty of Fine Art, Hammad would go on to influence the next generation of Syrian and Arab artists. Although Hammad is best known for the paintings of his Abstract period, which rhythmically incorporated elements taken from the Arabic script, the booth will focus on his lesser known—but no less significant—Horan period. The works in this presentation span 1958 to 1963, in which he settled in the small town of Dara’a in southern Syria. Hammad had just returned from Rome, where he spent time studying the classical Italian style. Upon returning to his country he began to consolidate his artistic identity, developing his own individual visual language. The Syrian quotidian—the countryside, its social issues, its people—is evident in these landscapes and portraits, which subtly speak to the ever-present tensions between the rural and the urban which continue to this day. These years were a particularly heady time in the Arab world, and the works reflect the electrified—and often violent—political atmosphere of the time. Gamal Abdel Nasser’s Panarabism resulted in the 1958 formation of the short-lived United Arab Republic, a union between Egypt and Syria. It was commemorated in Memory of the First of February, which tenderly depicts a woman giving birth to twin daughters, the metaphorical progeny of Arab unity. This theme of motherhood and pregnancy was a fertile one for Hammad, cropping up again in The Pregnant, Mother and Child, and Motherhood. 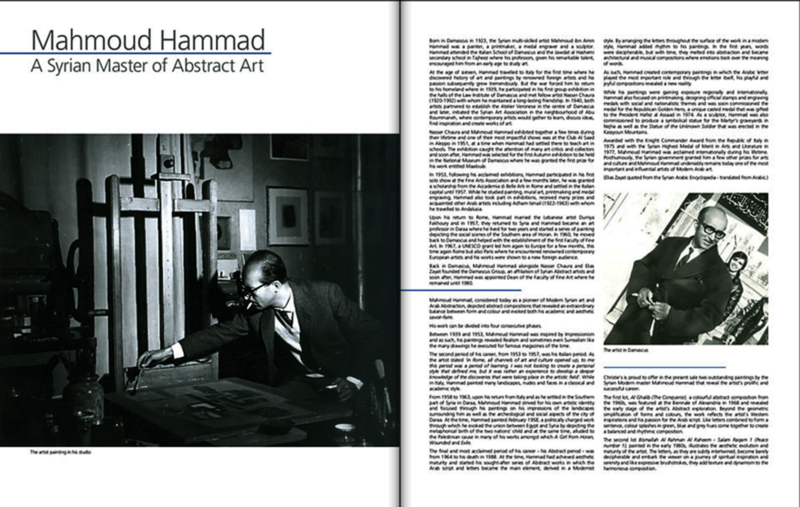 Mahmoud Hammad (1923-1988) was one of the 20th century’s most significant Arab artists. His work has been widely exhibited and collected around the world. Internationally acclaimed both during his lifetime and posthumously, he was awarded Italy’s Knight Commander Award in 1975, and the Syrian Highest Medal of Merit in Arts and Literature in 1977. 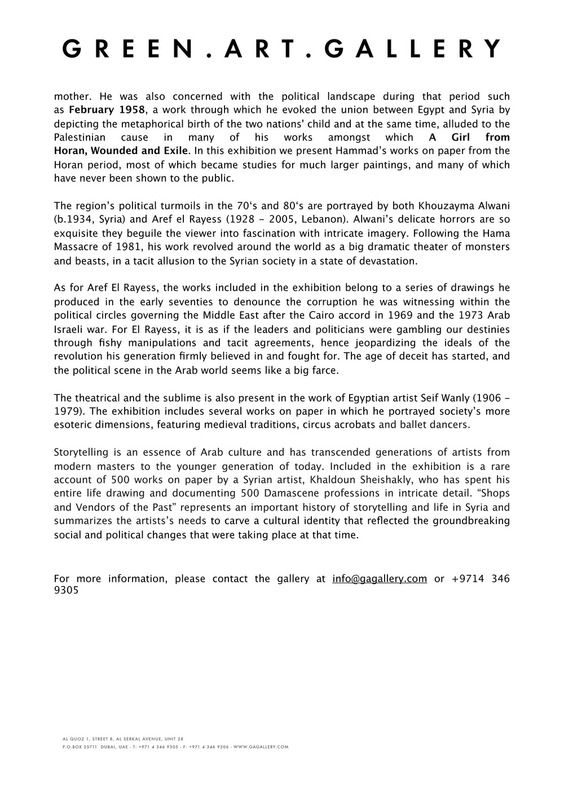 Upcoming and past exhibitions of the work of the late artist Mahmoud Hammad, around the world.